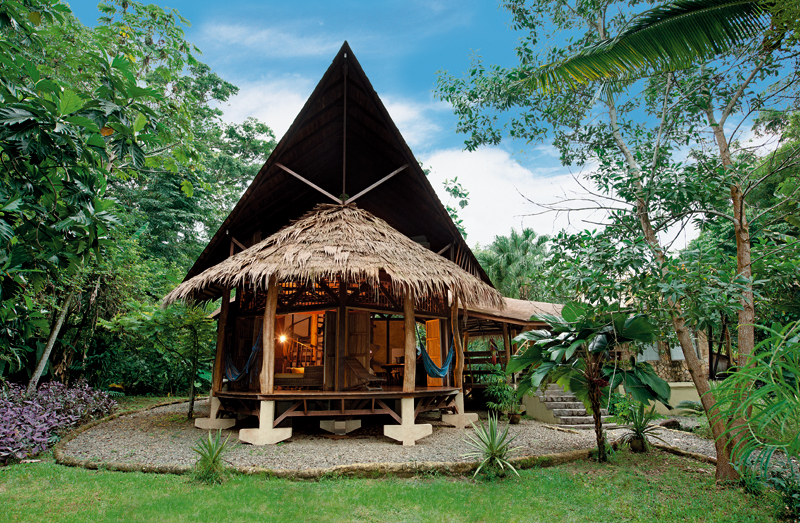 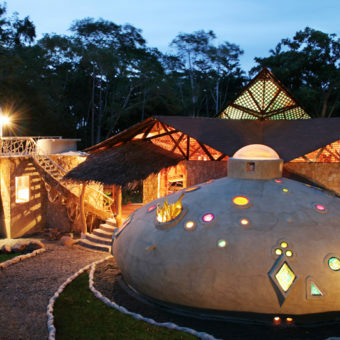 Oceanfront ecolodge on the south Caribbean coast in Costa Rica with 4 beach- and 1 tree house. 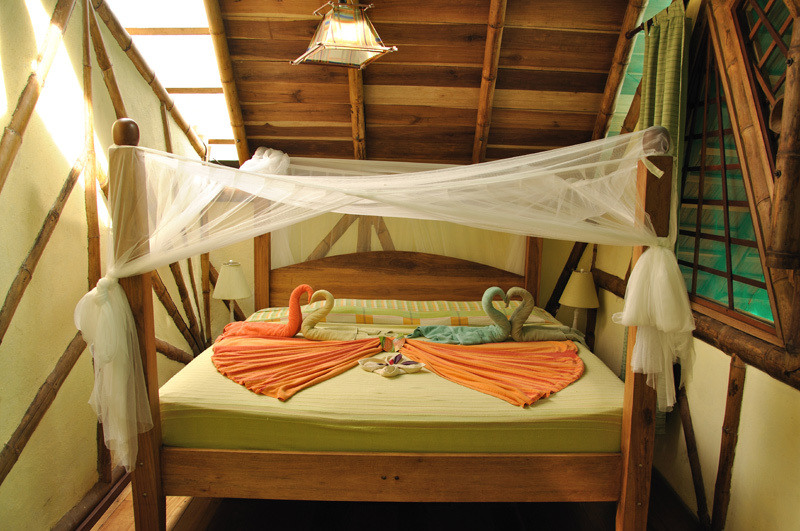 Perfect for romantic moments and family adventures. 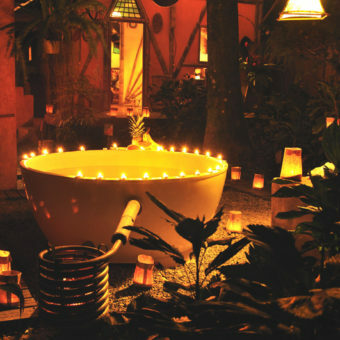 Free wifi and jacuzzies at all lodges, plus a helpful reception and tour desk willing to help you with all your needs. 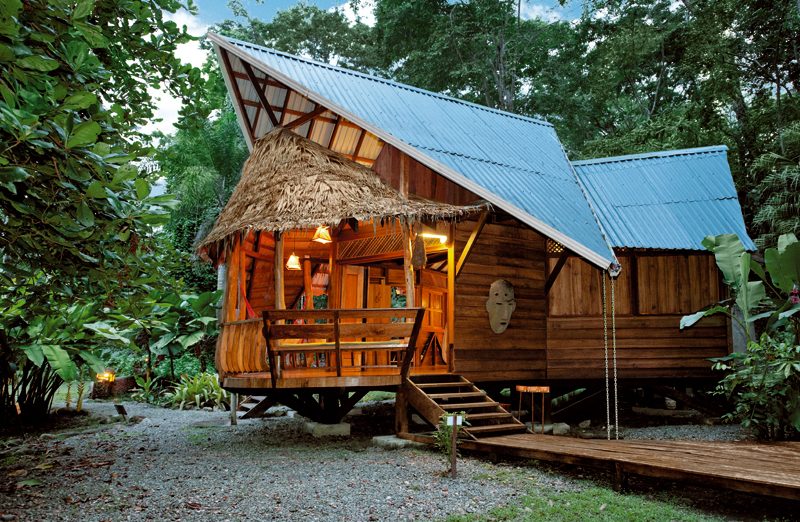 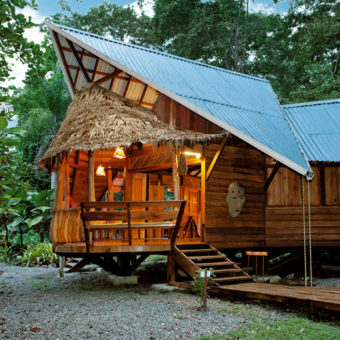 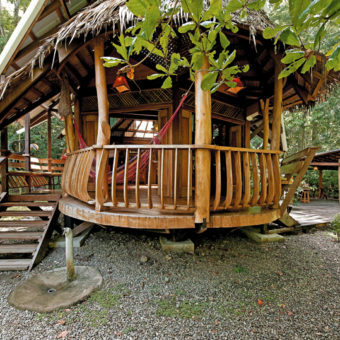 The Tree House Lodge is located on the South Caribbean Coast of Costa Rica, situated between Puerto Viejo and Manzanillo in an area called Playa Chiquita. 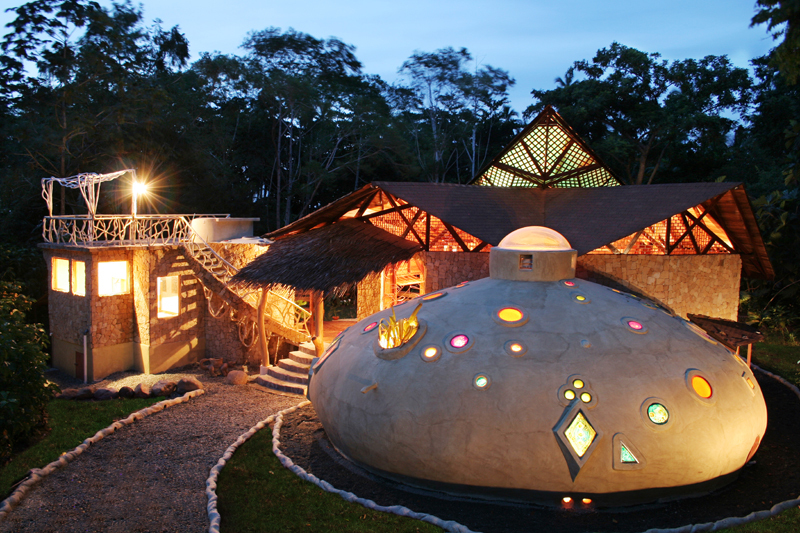 We have managed to achieve an ideal blend of creative ecological buildings and natural scenery for you to enjoy. 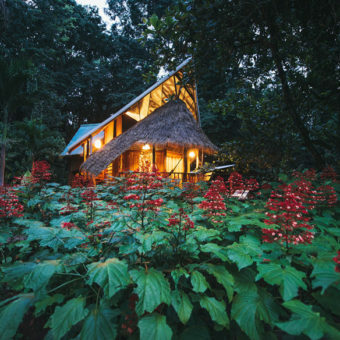 All nestled on the edge of the Gandoca Manzanillo wildlife refuge. 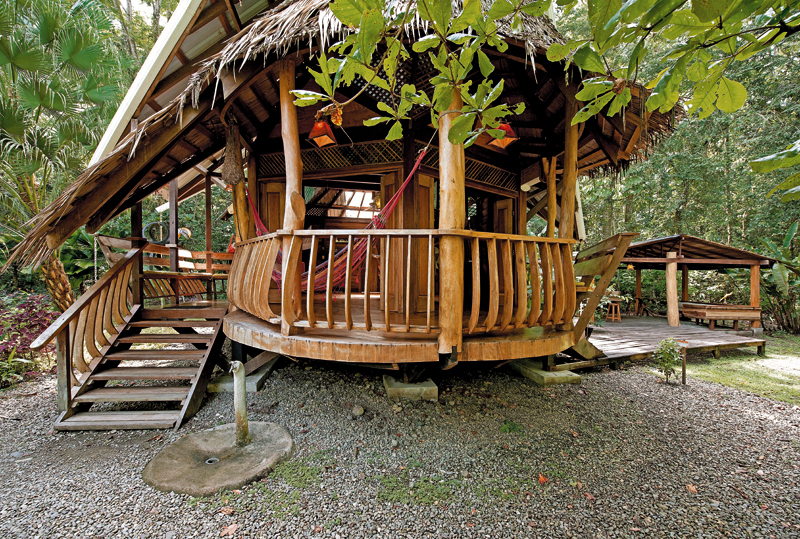 Featuring just five open-air houses hidden away in the nature, steps from the white sands of Punta Uva beach. 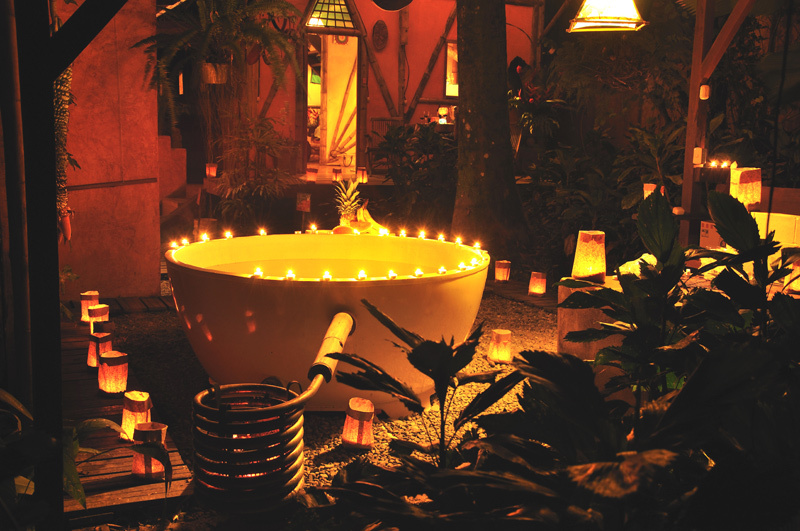 You’ll enjoy all the luxuries of a resort with a friendly personalized touch. 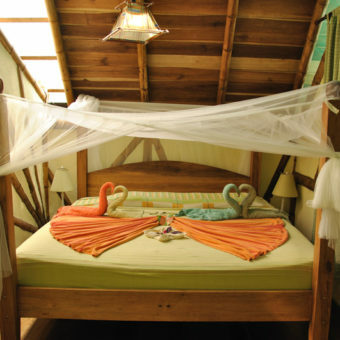 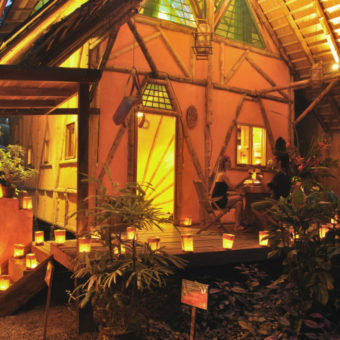 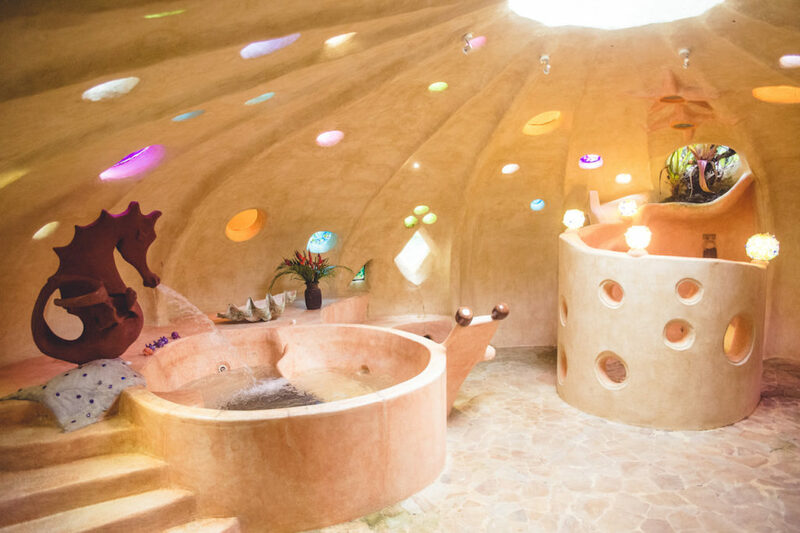 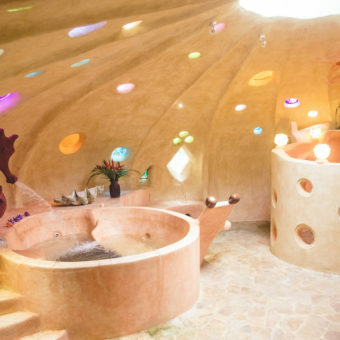 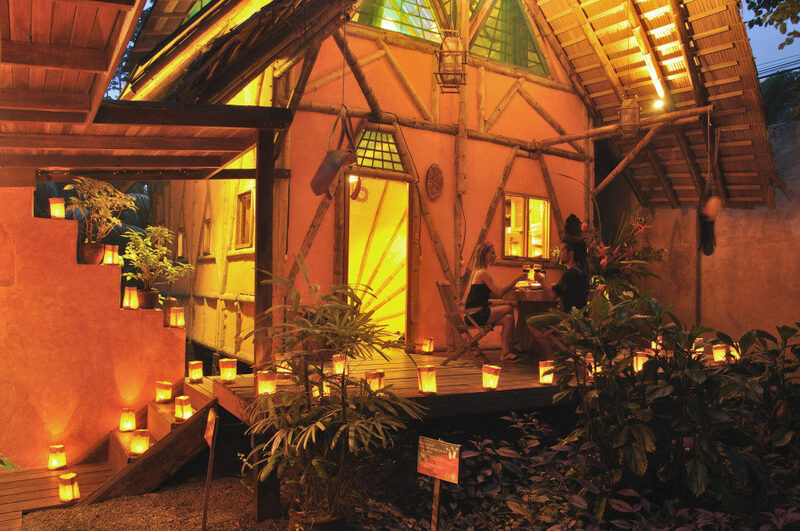 The Tree House Lodge is perfect for couples and families who wish to stay in a real Costa Rican authentic experiences and are looking for an off the beaten path destination that offers more than the typical luxury hotel experience alone. 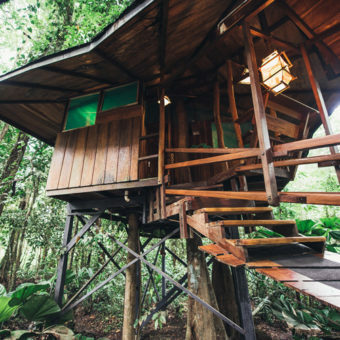 In most online travel reviews the tree house lodge is described as a super quiet, safe, and beyond beautiful vacation rental place. 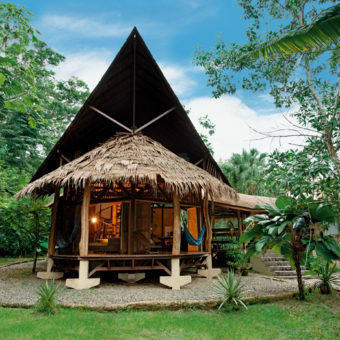 Others say it is the perfect beach-front hotel to relax and unwind in combination of adventure and lots of wildlife activities like canopies, fishing, and jungle hikes. 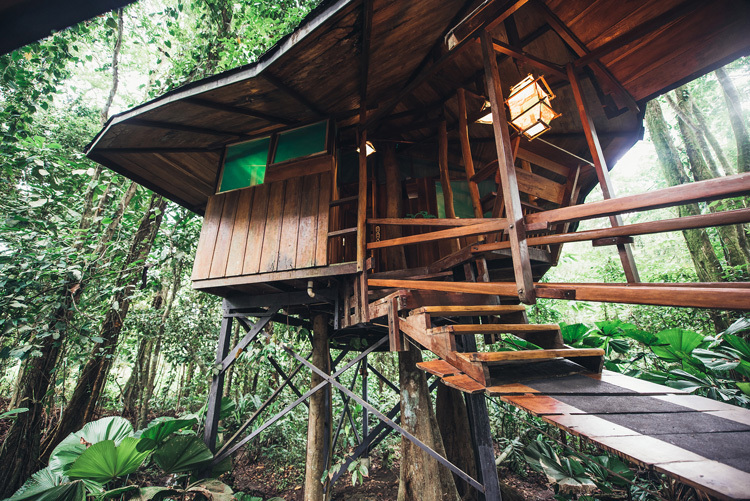 Thanks to our long-term commitment to sustainability and social outreach, Costa Rica Tree House has been awarded with the Five Sustainability Leaf Award of ICT. 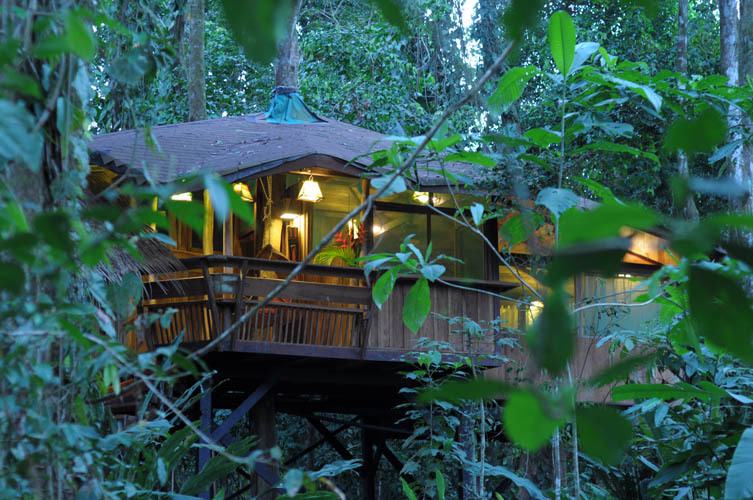 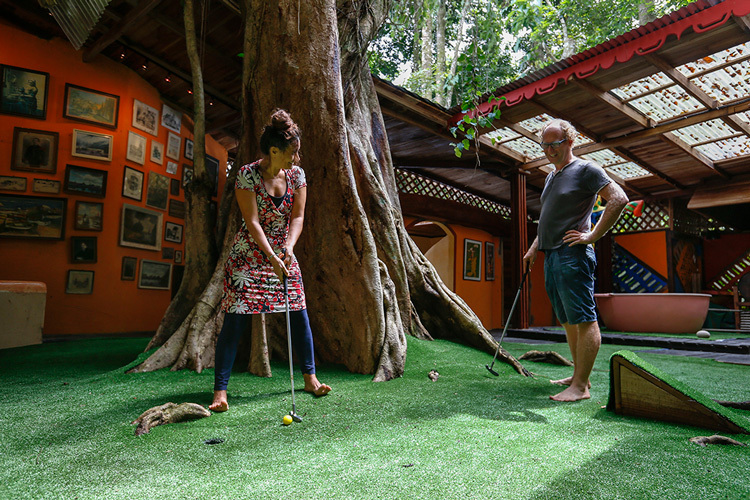 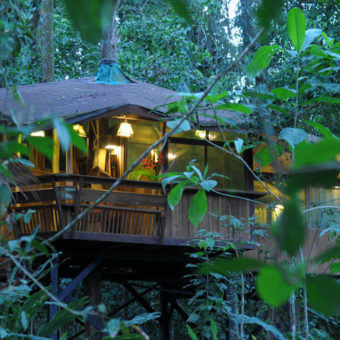 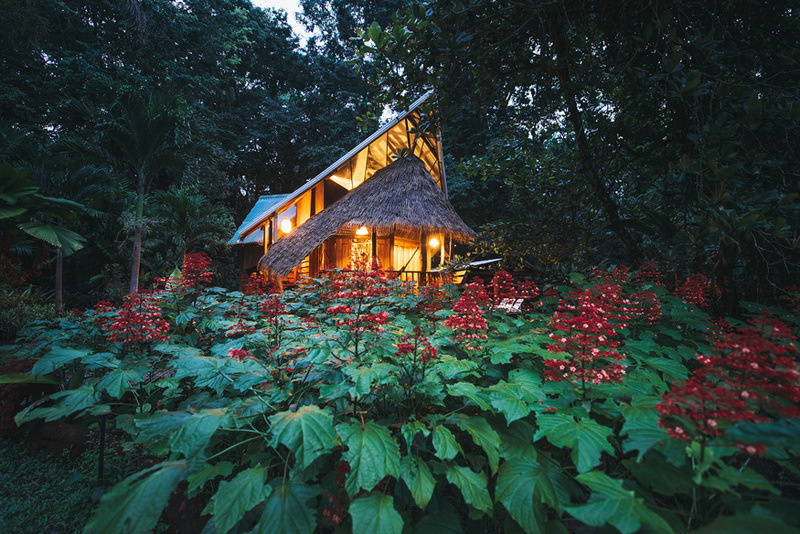 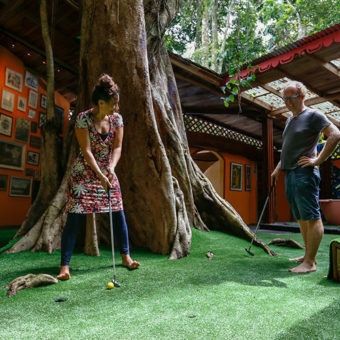 For your next vacation join us at the Tree House Lodge to unplug from the routine and enjoy a personal connection with Costa Rica’s nature.